Let the numbers tell the story. The following presents a detailed summary and analysis of Afghan civilians killed directly – so-called impact deaths – by U.S/NATO forces in Afghanistan during a single month, February 2010. The Obama killing machine left 80-86 dead Afghan and Pashtun civilians. By contrast, the number in February 2009 was 50. The intent here is to set the record straight as regards Afghans killed by the U.S/NATO, and in so doing challenge the UNAMA to move beyond its “faith-based” counting. Regrettably, data put out by the UNAMA gets widely cited less for its validity (which cannot be fact-checked given the organization’s refusal to publish disaggregated data) and more because of a vague public yearning to believe (have faith in) in the U.N’s alleged impartiality and credibility. As I have repeatedly demonstrated, the UNAMA data barely captures one-half of the Afghan civilians killed by U.S/NATO direct actions and by so doing serves Obama and the Pentagon in their news management effort. In a cemetery marked by green and white flags in Helmand’s provincial capital of Lashkar Gah, 20 miles (30 kilometers) northeast of Marjah, men buried one Marjah resident who died of his injuries suffered in what his brother said was coalition bombing three days ago. “I buried him here, because I couldn’t take him back to my village,” the brother, Sayed Wali, a thin man in a faded blue tunic (from http://www1.cw56.com/news/articles/world/BO136048/ ). …they were running and shooting. I tried to get back in my house, but they shot me in the leg, and there were more bullets, and they shot me again in the belly. Near me some other people fell into a canal. They called a plane and they bombarded. A man who identified himself as Hamidullah said he had been in the home as some 20 people gathered to celebrate the birth of a son when a group of men he described as “U.S. Special Forces” surrounded the compound. Saying he witnessed one man’s death, Hamidullah said, “Daoud was coming out of the house to ask what was going on. And then they shot him.” Then they killed a second man, Hamidullah said. The rest of the group were forced out into the yard, made to kneel and had their hands bound behind their back, he said, breaking off crying without giving any further details. A deputy provincial council member in Gardez, Shahyesta Jan Ahadi, said news of the operation has inflamed the local community that blames Americans. “Last night, the Americans conducted an operation in a house and killed five innocent people, including three women. The people are so angry,” he said. Always when they storm a village the foreign troops never care about civilian casualties at all. And at the end of the day they report the deaths of women and children as the deaths of Taliban. And what is reported in the mainstream western press? 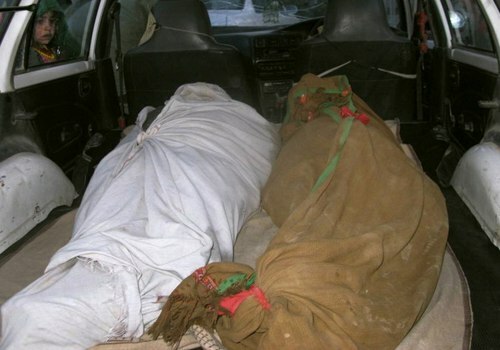 For the first two months of 2010, the Afghan Independent Human Rights Commission’s Fareed Hamidi trumpeted a dip in civilian deaths, announcing for all those willing to listen that 71 civilians had died at the hand of Afghan and foreign forces. The UN naturally parroted this gross under-count. In fact, as I reported, foreign forces alone killed 150-156 Afghan civilians during the first two months of 2010. In other words, the AIHRC only counts one in two Afghan civilians killed by foreign forces. Another font of propaganda, the Soros-bankrolled Open Society Institute, reassured its readers that protecting civilians and protecting troops in Afghanistan was part of the “new” counterinsurgency-style offensive. In 2008, the UNAMA captured about 70% of Afghans killed by foreign forces, but in 2009 the figure was under 40%, justifiably earning UNAMA’s performance as being faith-based (or ideologically-inspired) counting. Sadly, ‘groupies’ like the western media, peace groups and even the World Socialist Web Site (wsws) uncritically go about citing spurious UNAMA figures, for example endlessly mentioning that Afghan civilian deaths caused by “coalition forces” have declined: naturally they have since the UNAMA missed only 30% of such deaths in 2008, but 60% in 2009. As I have argued and documented, in fact a trade-off exists between protecting foreign occupation forces and Afghan civilians. Such trade-off is best captured by the ratio of Afghan civilians killed per dead foreign occupation soldier. This ratio was 4.97 in 2007, 3.19 for 2008, 1.94 for 2009, and for Jan-Feb 2010 it was 1.48. In effect, the Obama regimen involved trading off US/NATO soldier deaths for fewer Afghan civilian ones in order to placate critical NATO members. 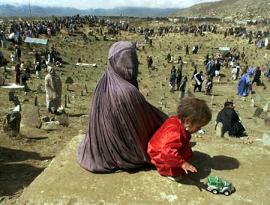 Air strikes still kill the majority of Afghan civilians. The absolute number of Afghan civilians killed by foreign occupation forces is not declining. The mainstream western media with few exceptions and organizations like UNAMA and the AIHRC de facto serve the Obama news management effort by severely under-reporting Afghan civilians killed by foreign forces. 6. Herold (2010) in Table 1. 11. See Table 1 in Herold (2010), op. cit.